For an Indigenous person on a community where English is a second, or even sixth language, all their peers will have similar difficulties in understanding and learning certain English words. When a person in such a community does hear a new English word from an English based training or education session, they can not easily learn the meaning, because their parents and peers do not use it, do not know it or they may use the local assumed meaning, which can be very wrong. Without someone explaining the meaning of difficult English words in their local language it is very difficult for Aboriginal people to establish the correct meaning. Just recently I came across the assumed meaning that an Aboriginal interpreter had pick up for the word ‘infection’. They weren’t confident, but said in their language that the word meant, ‘to reoccur’ or an ‘illness that keeps coming back’. They had interpreted for years in the health system without anyone picking up this potentially dangerous misunderstanding. However, it was corrected in a few minutes by the concept being explained to her in one of her indigenous languages. (Although it helped that she had already transferred the concept of microscopic germs into her own language, thanks to the very persistent work in this area by ARDS educators). As an example of the difficulty of transferring the meaning of difficult English words to an ESL person. Try explaining ‘infection’ yourself in English without using other difficult words like ‘bacteria’, germs, ‘inflammation’, or ‘microscopic’. Its not easy is it? Its a little like playing the game “taboo”. Using English onlly, this is what any teacher must do to be really understood. Unfortunately, very quickly the teachers tire of this (I know I have to do it sometimes) and returns to their normal vocabulary, using English words many Indigenous people won’t understand. a whole range of health related words, where things are not directly observable, because they are microscopic or internal. We must remember that English second language speakers from other countries have access to dictionaries which explain these linguistically difficult or advanced English words in their own language. 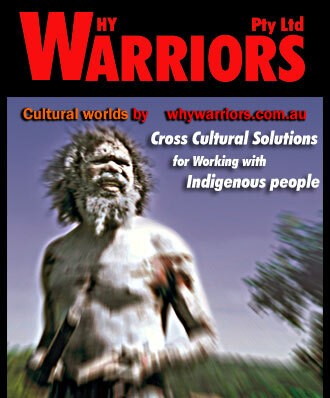 Aboriginal people in Australia do not have such resources. Furthermore, these difficulties with English may also be true for speakers of ‘Aboriginal English’ or English kriols. This occurs when the intangible terms were not transferred to first languages before the local lanugages were lost within a community. As a result such communities will not find it any easier to discover new concepts and meanings. When working with Indigenous people who are ESL speakers (including some ‘Aboriginal English speakers”), it is important to keep these difficulties in mind. Especially if you are restricted to English. Transfer of meanings for intangible terms is possible in English only, but it is very difficult, because one must avoid the many other words your student doesn’t understand. And one must have the time to have detailed discussions around words that are new or foriegn. Whether you have learnt a local language or not, always keep a eye out for words that may be difficult and take some time to check with individuals and small groups how people in the community understand certain terms. Practice with them how you might explain the meaning successfully. Generally Aborignal people don’t mind being asked about their understanding of English words, because they generally recognise that learning another language can be very difficult.